ITT Educational Services is facing charges that it duped investors by concealing huge losses on loans made to students attending the company's for-profit colleges scattered across the country. The alleged scheme outlined in a complaint filed Tuesday May 12, by the Securities and Exchange Commission revolved around mounting problems in two different student loan programs that ITT set up in 2009 and 2010 as other financing dried up during the Great Recession. ITT guaranteed the loans to pay tuition and other student bills in an educational system spanning more than 140 colleges in 39 states. Those pledges threatened to hobble ITT if a large number of the borrowing students missed payments. The SEC case in Indiana federal court alleges ITT tried to cover up troubles that began to infect the student loan portfolios in late 2011, misleading investors about the financial risks facing the Carmel, Indiana, company. The complaint depicts ITT CEO Kevin Monday and Daniel Fitzpatrick, the company's chief financial officer, as the masterminds of the fraud. Modany, 48, had already been scheduled to step down later this month and Fitzpatrick, 55, is supposed to retire in October. ITT strongly disputed the SEC's allegations, but the case nevertheless raised doubts about the company's future and sent its stock to an all-time low of $2.07 at one point during Tuesday's trading. The cloud hanging over ITT follows the recent meltdown of another major for-profit educator. Corinthian Colleges shut down its remaining 28 campuses last month after being fined $30 million for misrepresentation by the U.S. Education Department. Corinthian's collapse affected 16,000 students, many of whom are now seeking a waiver to forego repaying their student loans at taxpayer expense. 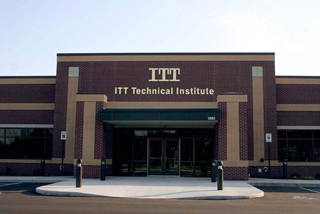 ITT vowed to clear its name and continue serving the roughly 57,000 students attending campuses that operate under the names of ITT Technical Institute and Daniel Webster College. "We vehemently disagree with the SEC's position and we are confident that the evidence does not support the SEC's claims," ITT said it a statement. The SEC contends ITT began misleading investors about how much it stood to lose on its student loan guarantees in late 2012 and continued at least through 2013. As the details of ITT's obligations for delinquent student loans emerged, the company's stock has dropped by more than 90 percent during the past 16 months to wipe out $1 billion in shareholder wealth. ITT's closed Tuesday at $2.27, down more than 43 percent for the trading session. The shares peaked at $133.75 in 2009.